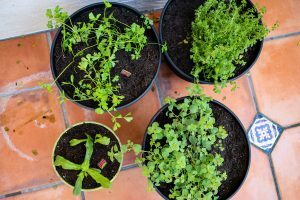 Starting your own herb or vegetable garden is slightly more involved than the familiar nursery rhyme. 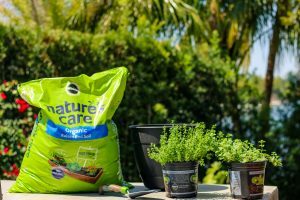 But here we outline some basics to get you started on your home garden and we also provide tips to make it successful and easy! Do you have a large backyard where your herb and/or vegetable garden can call home? Or perhaps you live in an urban setting or enjoy apartment or condo living and don’t have access to a section of land to plant? 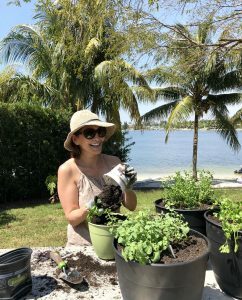 Regardless of your situation, at The Mad Table, we’re here to help you create an herb garden that will add flavor and value to all your meals – from breakfast, snacks and lemonades, to complex dishes, desserts and cocktails! 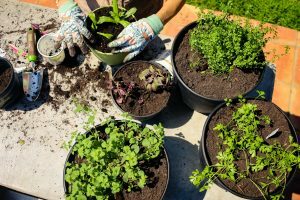 Use organic soil – especially with edibles. It makes things taste better. 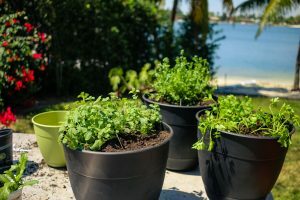 If you don’t have a yard or space for a garden, you can use large pots to grow herbs or veggies. We prefer plastic pots with wide openings. Make holes in the bottom of the pots to allow water to drain. If using pots, don’t overfill with soil. Stay 2-3 inches below edge of pot. Bury name card in soil near plant. When re-planting, tug lightly at the root to expose before putting into soil. Start with your favorites, plus anything that might be hard to find at the grocery store or farmers’ market. Always keep fresh herbs on hand- it will simplify your cooking! By growing your own, you know your veggies and herbs are free from pesticides. Plus, there’s nothing like fresh picked! 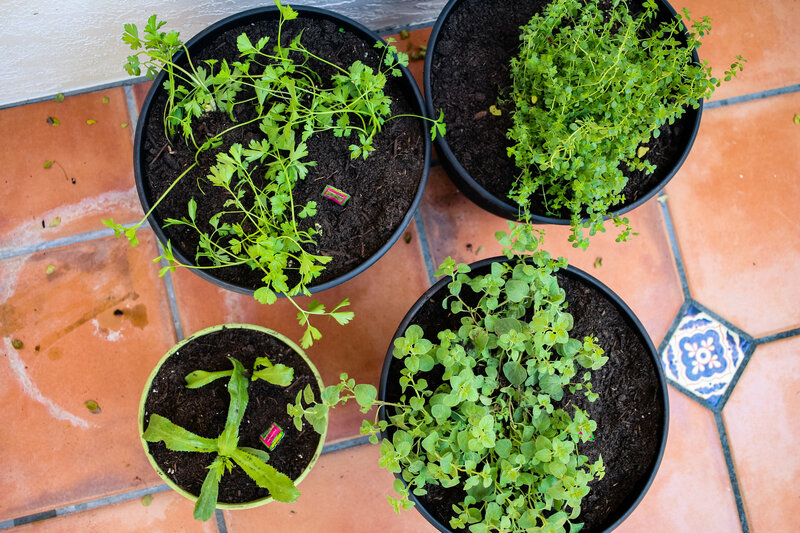 Start with a small garden – it will help boost your confidence! Remember, pruning is good for your plants (it helps them grow faster). When pruning, don’t tear or rip stems off plants. Use your hands or shears and be gentle. Green onions/scallions, leeks, lettuce, lemongrass, celery, bok choy and cabbage will continue to re-grow in water (change water daily), or as soon as you start seeing roots, you can re-plant in soil. Plant red onion, ginger and garlic clove root side down in soil. Potatoes and sweet potatoes: Cut in half, let dry on kitchen counter overnight. Make sure each half has at least 1-2 eyes and plant in soil with cut side up (eyes buried in soil). 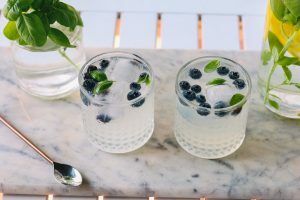 With these tips in your back pocket, you can go crazy putting your fresh herbs and vegetables in everything: salads, pizza, chicken, beef and veggie dishes, desserts, cocktails and flavorings for water! For more tips and tricks to simplify your life and make gardening (and cooking!) a breeze, find us at The Mad Table website. And be sure to like The Mad Table on Facebook and follow us on Instagram for all the latest news, fabulous recipes and gorgeous entertaining tips and ideas.